We take anywhere from 5 to 9 exposures for every image and combine them to produce a photograph with a High Dynamic Range. The result is an eye-catching, beautiful image with clear definition across the entire spectrum. 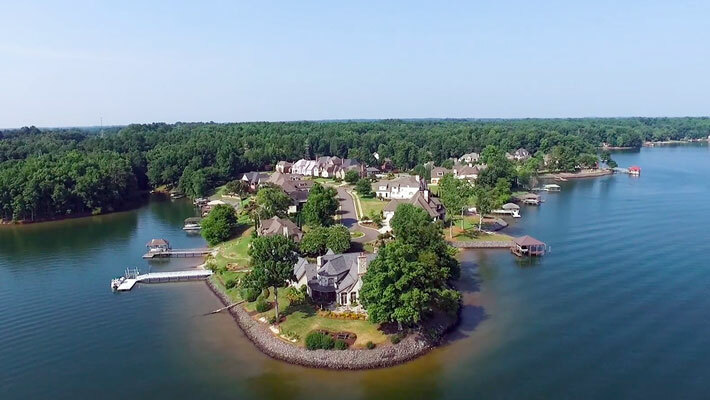 Whether your property is a lakeside dream home or a suburban townhome, the amazing views from aerial photos can be what sets you apart from your competition to get and sell more listings. 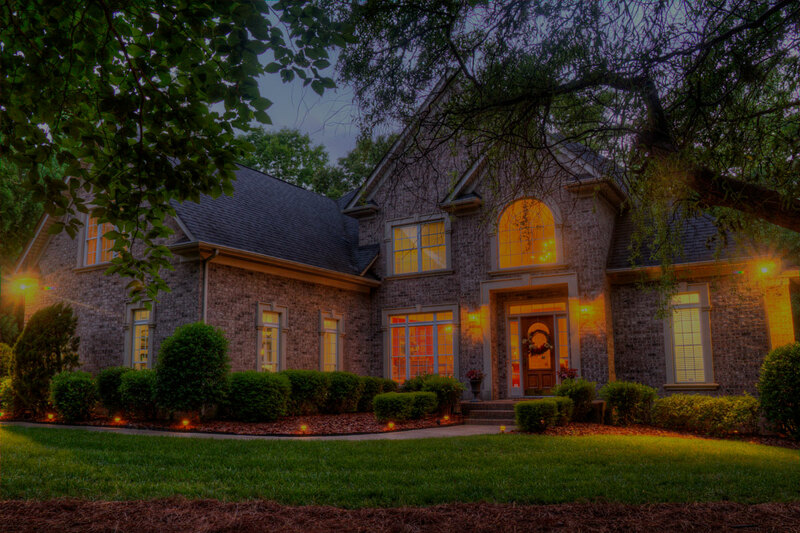 Showcase the best features of your home’s exterior with a dramatic twilight photo. The best way to show off your landscape/property lighting, pools, fire pits, and great sunset views. A standard photograph is a single image that finds a happy medium between the lightest light and the darkest dark (dynamic range) to try to create a decent looking photo. The problem with this is that you will almost always have blown out areas in the lightest lights, and dark undefined areas in the darkest darks. This is where HDR photography saves the day. HDR stands for High Dynamic Range (all the space in between the lightest lights and darkest darks). We take anywhere from 5 to 9 images of various exposures and combine them to include more information across that range. The result is an appealing image with clear definition across the entire spectrum. You can see the difference between a single exposure standard photograph and a multi-exposure HDR . There is such a huge dynamic range that so much detail is lost in the standard photo, but it all becomes so clear and vibrant in the HDR photo. 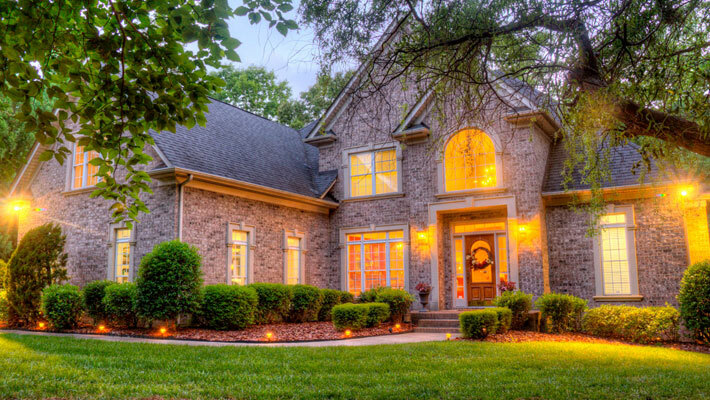 Your property is unique, and we approach each and every shoot with that in mind. 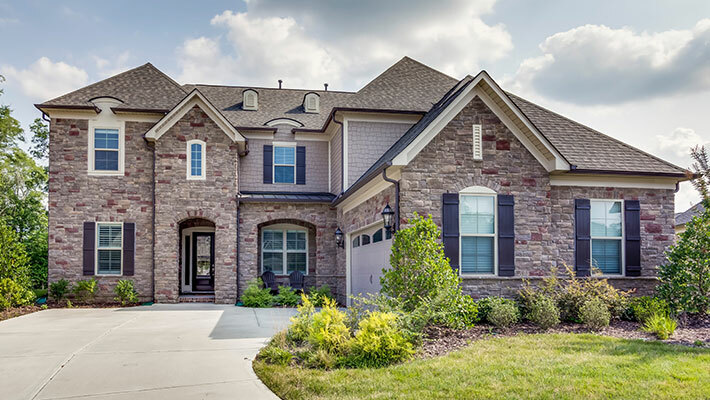 We find the best way to capture its character and story with the best technology available while crafting images that target your key demographics to produce the best outcomes. Simply put, great images lead to more traffic, more leads, and more sales. Whether you need photos from the air or on the ground, we‘ve got you covered.